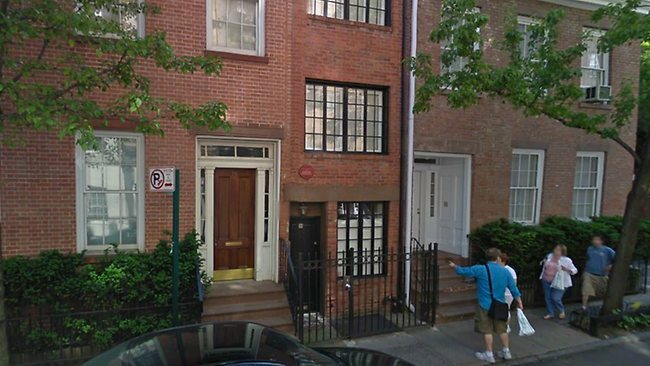 THE SKINNIEST house in New York City has sold for a fat $US3.25 million ($3.6 million) despite being only 2.5m wide. The historic, three-storey home at 75 1/2 Bedford Street - near Sixth Avenue and Houston Street in the West Village neighbourhood - weighs in at an underfed 92 square metres, theNew York Post reports. That's $39,130 per square metre. A tape measure would only stretch to 2.5m wide in the widest rooms -narrow enough for the lankiest of New York Knicks player to nearly touch two side walls at once. Still, the completely remodelled home is full of celebrity cred. It’s where Edna St. Vincent Millay penned her Pulitzer Prize-winning Ballad of the Harp-Weaver, in 1923-24. 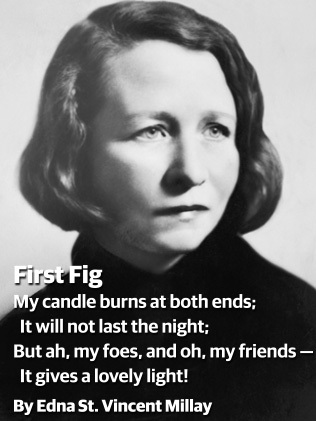 It’s Millay who famously coined the phrase, "My candle burns at both ends," suggesting that the poet would have had to orient any such candle longitudinally while working long hours at the address. 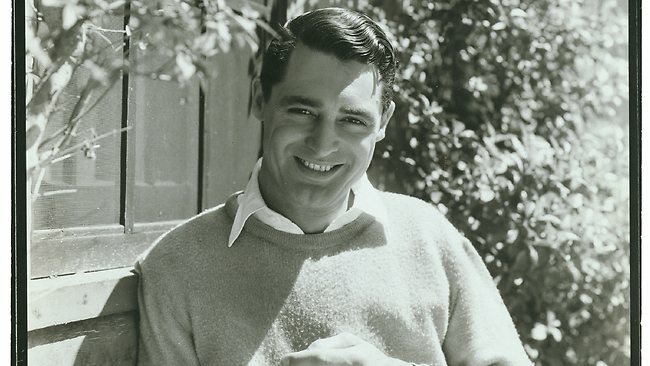 Other celebrities who have traipsed - carefully - through the gaunt flat are actor Cary Grant, and, before him, John Barrymore. Anthropologist Margaret Meade also lived there, as did popular children’s-book writer Ann McGovern, author of Stone Soup. After moving out, McGovern wrote Mr Skinner’s Skinny House, a picture book about a man who moves into the thinnest house in the city and then struggles to find a roommate. 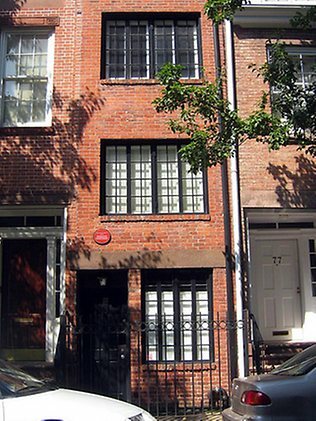 “For seven years, I lived in the narrowest house in New York. It was only eight and a half feet wide!” McGovern said in a Q-and-A on her website, annmcgovern.com. "Once I saw a man who was standing in front of the house with arms outstretched," she said. " 'Hey,' he said. 'I'm as big as a house,' and he was." The latest buyer is George Gund, according to New York City property records. Read more about New York's skinniest house at the New York Post.